"Many stones can form an arch - be with us be genuine." MiM is the agent and distributor for STAHL in Mongolia. STAHL is a customer-focused company that specialises in providing high quality chemicals, dyes and coatings for leather, as well as flexible and non-flexible substrates for performance coatings, textiles and related products. STAHL is the worldwide market leader in leather tanning technology. The presence of STAHL in Mongolia brings the country an extensive network of specialists in leather tanning, production and fashion. STAHL is ready to support the Mongolian leather sector to reach high quality and sustainability standards. Accordingly, the Mongolian leather sector will be able to enter the world leather market with care for the environment and future generations. STAHL can support in chemical tanning and eco/biodegradable tanning technologies. Feel free to contact us when interested to set-up a meeting, for technical support, to learn about our product and services or when interested to participate in the STAHL Campus. In the downloads you will find a leaflet on easy white tanning and on the STAHL Campus. MiM offers services to leather brands interested to cooperate with Mongolian leather good producers or tanneries. Our services include match-making between customer and producers, control of production process and orders, quality control, centralized shipments of orders, and support in certification procedures. We are in touch with the major producers of leather goods in Mongolia and can organise direct cooperation with Mongolian tanners. In cooperation with STAHL we can support in the development of Mongolian tanneries to the required leather quality and standards. We aim at a clear and mutual understanding with good results for all parties. On request MiM can connect Mongolian tanneries to the Dutch company IM | Innovation (former Intermedia). IM | Innovation is specialist in the organization of machinery for tanneries. As international supplier of tannery machines, equipment, and machine parts they are specialised in servicing and taking care of maintenance. IM | Innovation is highly experienced in the development of turn-key projects on an exclusive basis with different leading machine manufacturers. 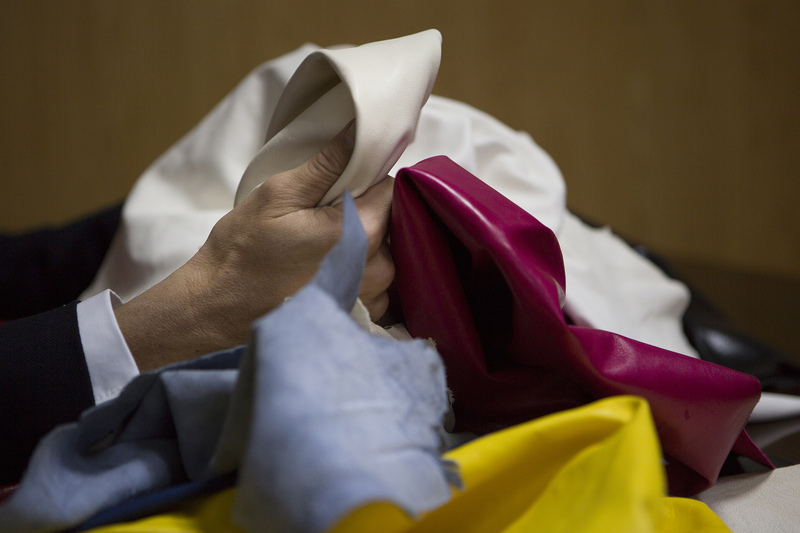 IM | Innovation can provide new complete leather production lines, but also used and reconditioned machines. This will all be handled, installed and maintained according to the specific IM | Innovation requirements and experience. During recent years IM | Innovation has established some very interesting turn-key projects for leading tanneries, such as Louis Vuitton in cooperation with a Belgium tannery; ECCO Asia and ECCO Europe; and tanneries like Bader, GST/Seton, Isa Tantec/Heshan, Interhides and Henan Prosper.